If you are hiking deep in the forests of Sweden, somewhere north of Uppsala, and strange and fanciful sounds emerge from behind the next tree... then it isn't necessarily a moose! 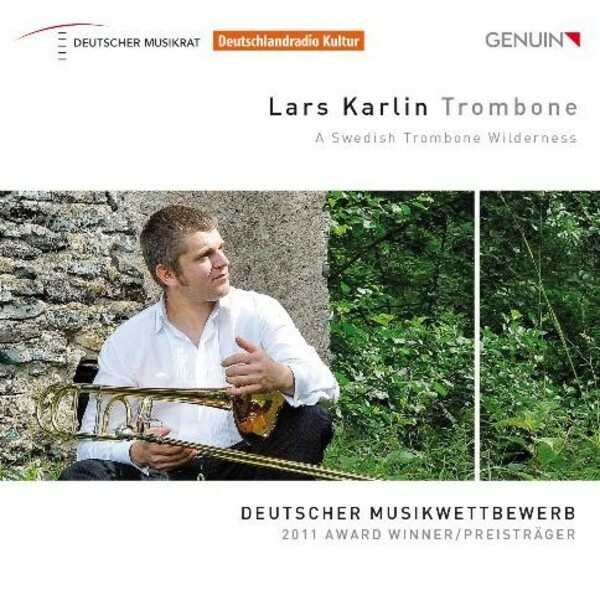 It isn�t possible for a solo debut CD to be more colourful and bursting with life as this: Lars Karlin, the winner of the German Music Competition, presents himself for the first time on Genuin truly at the centre of the action. Together with his musical friends he plays his way through the Nordic compositional landscape and a diverse array of styles: romanticism and classicism, jazz and multiphonics. A must for fans of the trombone and the Arctic Circle!